Our story is quite simple. We are a group of guys that love to drink beer. 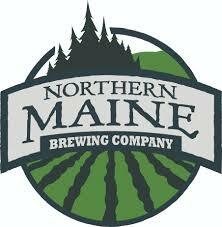 As we sat around one night drinking beer and brainstorming how we could grow our local economy, we came up with the crazy idea of brewing some great beers using local ingredients grown right here in Aroostook County. To make beer, you need quality water, malted barley, hops for flavor and bitterness, yeast to convert the grain sugars to alcohol, and a brew pot to make it in. So we started the process to research if it was feasible. The water was easy, we knew we could find plenty of clean water if we drilled deep enough. So we drilled a 300 foot well to draw water that had been filtered by at least 200 feet of purifying limestone. Next we needed to find a source of local malt. Farmers have been growing barley in our area for years. However, much of the barley is shipped out of the state and malted elsewhere. Buck Farms in Mapleton, has learned how to malt the two row barley they grow on their farm into a high quality Pale Malt. Since this is the base for most of our beers, we feel we found some of the best malted barley in New England under their Maine Malt House Label. For hops, we knew about Aroostook Hops in Westfield. They have been raising hops for years. Their unique varieties grow well in our climate and we knew they would work well within our beer recipes. The yeast we knew we would have to buy from away. Finally, it came down to the pot to brew in. We researched different beer brewing systems available around the United States and Canada. We knew we needed a system that could help brew high quality consistent beer. We found one of the best systems in the world at Flecks Technik in Austria. The Austrians have been brewing beer for centuries. This knowledge has helped Flecks develop a very sophisticated beer brewing system. This was the final element we needed to bring this crazy economic development idea to life. Our goal is simple. We want to purchase as many local ingredients as possible so we can brew a great beer and serve a tasty meal for you to enjoy. If we do it right, maybe our group who love to drink beer can make a difference in the community one glass at a time.